Now you add a berrre manie to the pot. This just means a smooth mixture of butter and flour. 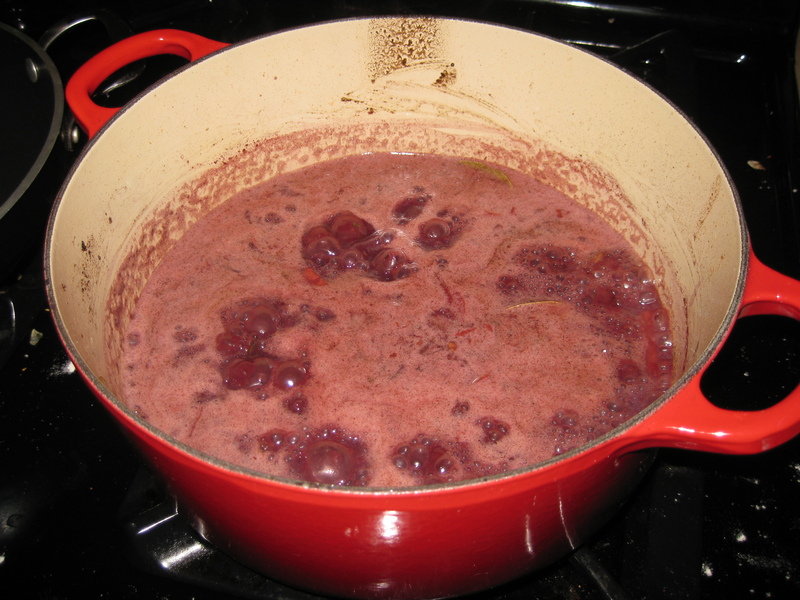 This will thicken the sauce and add richness. That’s because its butter and butter can do anything. While the pot is simmering, saute your mushrooms in butter and add to the pot. Also, add in the small onions and let it cook for another 10 more minutes. Annnd, you’re done. 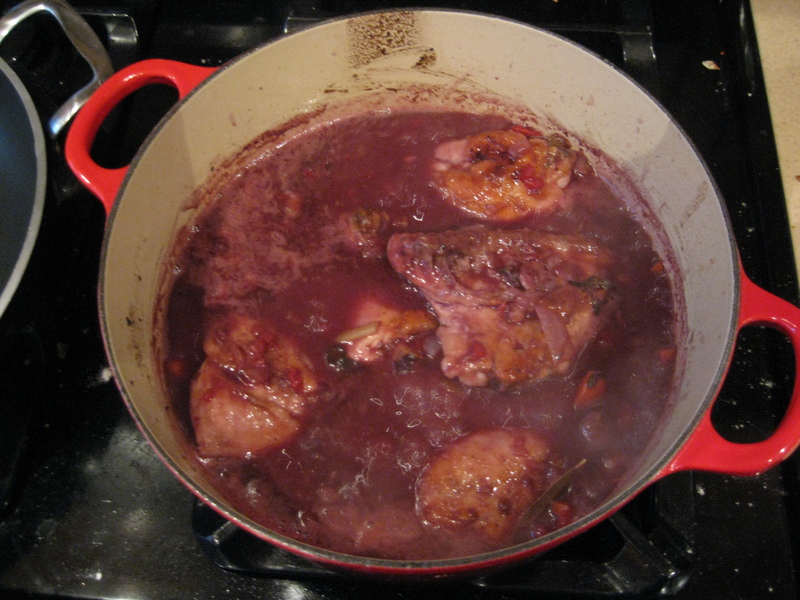 Coq au vin with red wine and some crusty bread. Serve it with some crusty bread. Even the plating is simple and delicious. And how was it? Silky and rich. The dish is surprisingly complex for what is essentially a chicken stew. The wine adds a little sharpness and the butter and bacon keeps things silky and rich. UNFORSEEN BONUS: Not only is this pretty simple to make, you can also start it the night before. Or reheat it. Or make it in the oven. Honestly, this is rustic French food at its most useful! Hellooooo, leftovers. 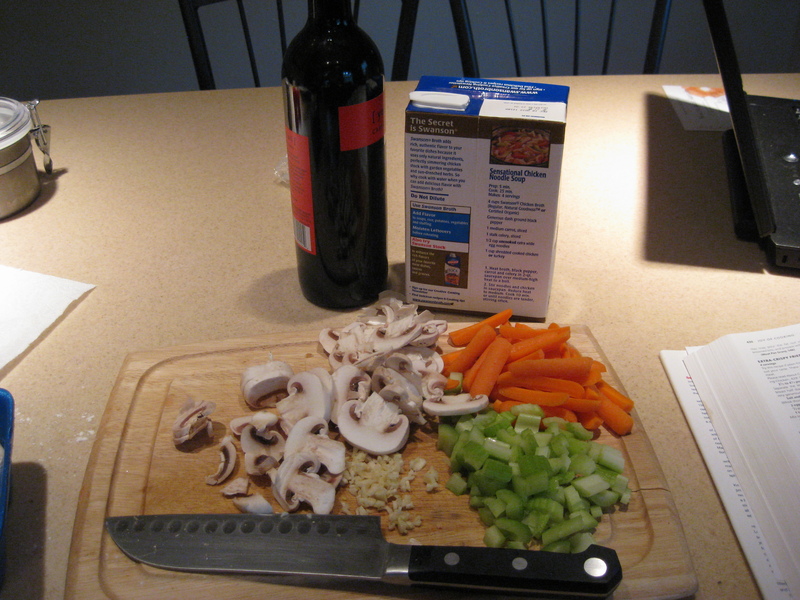 Also, using half a bottle of wine means you have half a bottle to finish while it’s cooking. Which leads to sitting and chatting with your Handsome Husband in the kitchen. Which leads to a long relaxing dinner on a random weeknight. 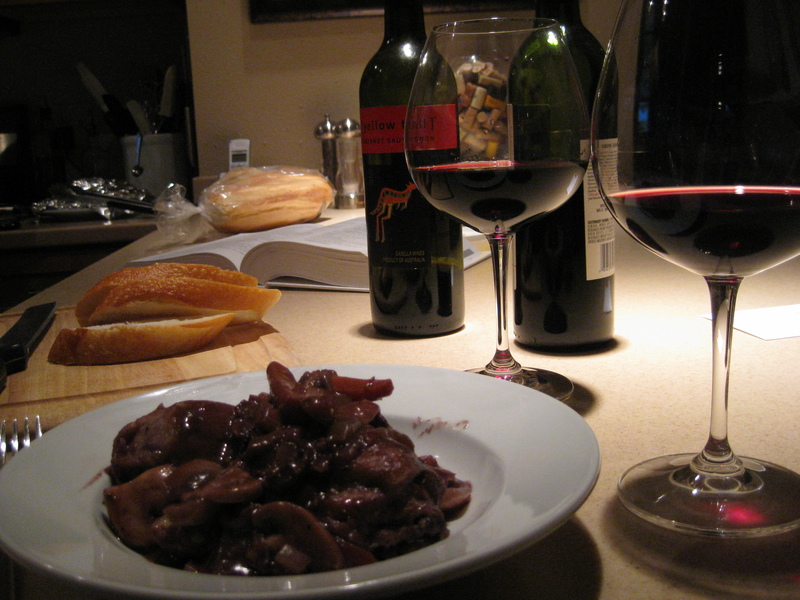 This entry was posted in 30 Before 30 and tagged chicken, coq au vin, French, turning 30, wine. Bookmark the permalink. 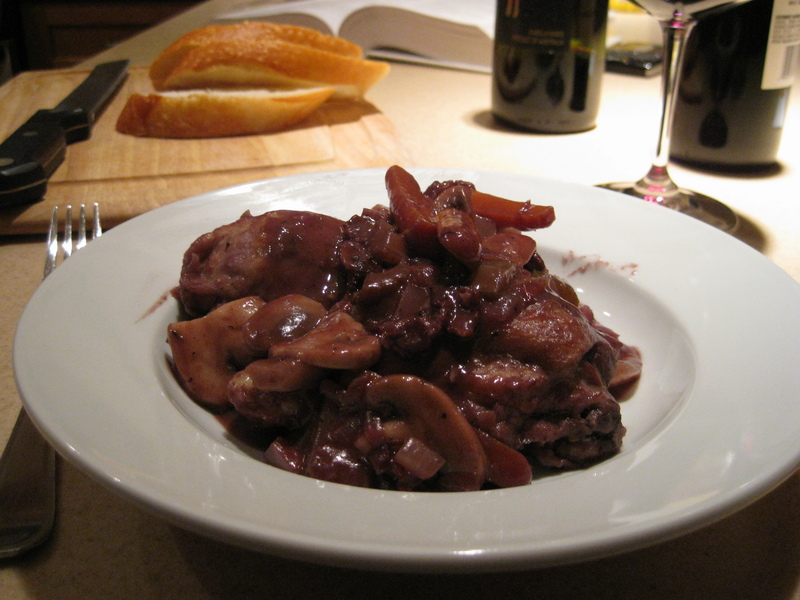 what a great job with the Coq au vin!! I make it for our girls during french week, there not too keen on it, but I keep trying!